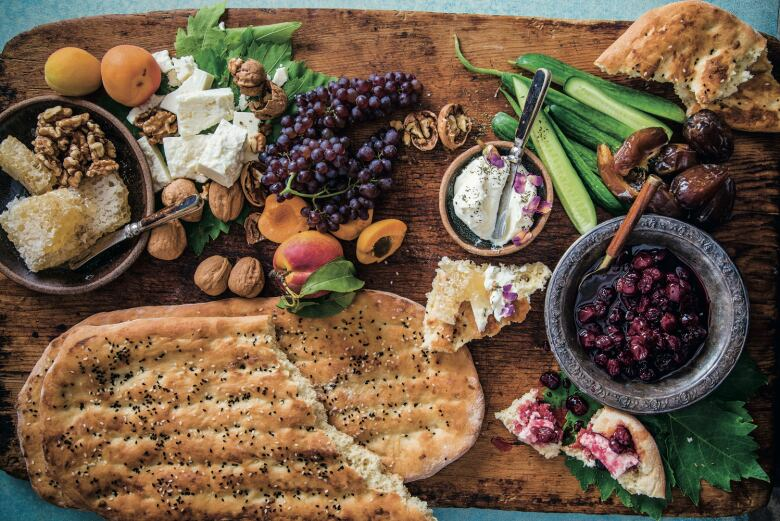 'Bottom of the Pot,' a new cookbook authored by Naz Deravian, details her journey from Iran to Rome, Vancouver and Los Angeles and the role that food played in making it easier to adjust to new cultures. An award-winning food writer is back in B.C. where the roots of her culinary journey began. 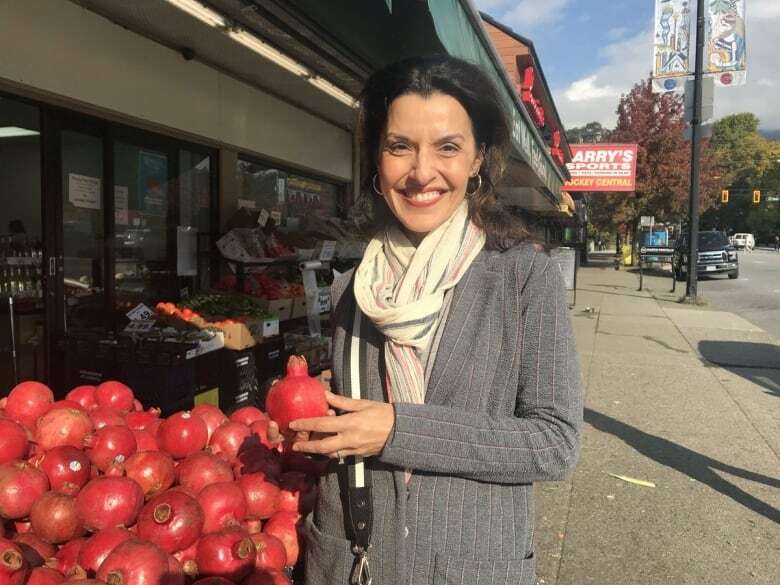 Naz Deravian and her family emigrated to North Vancouver in 1982 after fleeing the Iranian Revolution in 1979. 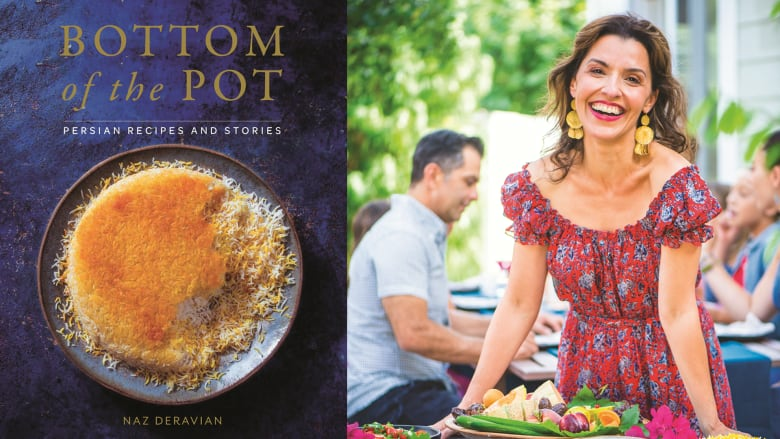 Her new cookbook Bottom of the Pot — a follow-up to her award-winning blog of the same name — explores a wide variety of Persian recipes. But it also highlights the role food played in helping her family adjust to life in a new country. "The food is what connects us… I like to think of this food as the gateway and an introduction to who I am," said Deravian in an interview with CBC Vancouver's Dan Burritt. When Deravian's family arrived in B.C. her parents were looking for ways to provide for their family. Her mother was an accomplished poet and scholar while her dad was trained as an architect, but neither could get jobs in their profession right away. Fortunately, a chance encounter with a Persian deli owner looking to acquire Barbari bread — a traditional Iranian flatbread — presented an opportunity for the family. "My mother, without missing a beat, said she would provide it for him… She had never baked a single bread in her life. But she did it, turns out she had a knack for it, so she actually provided the city with its first Barbari bread," said Deravian. Food became the family's main source of income and a natural way to connect with others. "After-school play dates would naturally lead into dinner… that started the conversation about where I was from, how you pronounce the name of the country," said Deravian, adding that Vancouver wasn't always the cosmopolitan city it is now and that many of her friends couldn't pick out Iran on a map. Deravian now lives in Los Angeles where she also works as an actor, but still visits B.C. every summer. She took a stroll down Lonsdale Avenue in North Vancouver — an area where she spent a lot of time growing up — with the CBC's Margaret Gallagher. It's come a long way since her family met that Iranian deli owner 36 years ago. Now she says, Persian ingredients are easy to find wherever you go. "We would send letters back home asking for a little bit of saffron or Persian dried limes and we would get these packages with these spices tucked in inconspicuously." "It's bittersweet [being back here]. It's sweet in that we mentioned so many of the Persian markets thriving and doing well and there's so many Iranians now. And it's bitter in that way that nostalgia can be…[how] it makes you pause and take note of how much time has passed, how much has changed."